Our first article is starting with a focus on Linux containers, where you can get hands-on with everything from container security, containerizing applications, developing container solutions and digging in to container internals. - How does sVirt/SELinux, SECCOMP, namespaces, and isolation really work? - How does the Docker Daemon work? - How does Kubernetes talk to the Docker Daemon? - How are container images made? In this lab, we'll answer all of these questions and more. If you want a deep technical understanding of containers, this is the lab for you. It's an engineering walk through the deep, dark internals of the container host, what’s packaged in the container image, and how container orchestration work. You'll get the knowledge and confidence it takes to apply your current Linux technical knowledge to containers. In this lab, we'll answer all these questions and more. If you want a deep technical understanding of containers, this is the lab for you. It's an engineering walk through the deep, dark internals of the container host, what’s packaged in the container image, and how container orchestration work. You'll get the knowledge and confidence it takes to apply your current Linux technical knowledge to containers. Linux containers provide convenient application packing and run time isolation in multi tenant environments. However, the security implications of running containerized applications is often taken for granted. For example, today it is very easy to pull container images from the Internet and run them in the enterprise without examining their content and authenticity. In this lab, you'll complete a series of low-level, hands-on exercises aimed at understanding the concepts, challenges, and best practises associated with deploying containers in a secure fashion. Topics include registry configuration, SELinux, capabilities, and SECCOMP profiles, along with image inspection, scanning, and signing. This third edition may be based on CRI-O, depending on Red Hat Enterprise Linux feature release time frames. 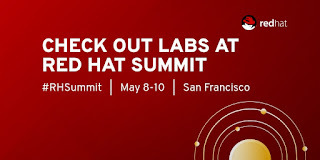 In this hands-on lab, based on highly rated labs from Red Hat Summit 2016 and 2017, you'll learn how to create containerized applications from scratch and from existing applications. 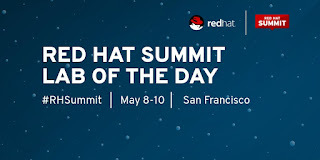 Learn how to build and test these applications in a Red Hat OpenShift environment, as well as deploy new containers to Red Hat Enterprise Linux Atomic Host. You'll quickly develop a basic containerized application, migrate a simple popular application to a containerized version, and deploy your new applications to container host platforms. You’ll get a feel for the different container host platforms and learn how to choose the best one for your container needs. And finally, you’ll learn what to consider and what tools you can use when implementing a containerized microservices architecture. The Internet of Things (IoT) is expected to generate a diverse range of data types that will need different mechanisms to process and trigger actions. Combined with other considerations, like total cost of ownership, required skill set, and operations, the back end solution may be composed of different architectures and patterns. In this hands-on lab, you'll learn how to build a containerized. intelligent IoT solution that can process different data types using the elasticity of a container platform, such as Red Hat OpenShift Container Platform, and serverless architectures to execute on-demand functions in response to IoT events. Using the qualities of each architectural style, developers can focus on writing code without worrying about provisioning and operating server resources, regardless of the scale. The methodologies exemplified within this lab can be used by companies looking to use their cloud computing infrastructure to build complex and robust IoT solutions.